This roast has gorgeous complexity of chocolate and fruit flavors that blend perfectly with medium a.. This is a full-bodied roast with complex flavors. Powerful, yet balanced with vibrant acidity. .. This roast is smooth-bodied with a floral aroma and subtle citrus tones. This mellow and smooth ro..
Are you ready to get jacked? With three times more caffeine than a normal coffee bean, extreme luck.. This roast is lively with acidity, full-bodied, hints of nutty and chocolate undertones, and has a.. 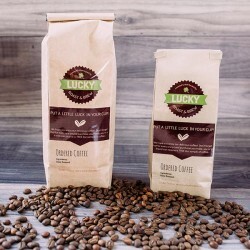 This roast is medium-bodied, low acidity, robust and alive with nut, spice and vanilla tones. ..
Sumatra Single Origin Coffee. 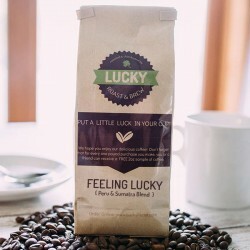 Sumatra coffee is known for it’s bold and complex flavors. Th..